No other film this year has given me so much to think about after each of my four viewings. Every time it ends, I swear that my heart skips a beat. While avidly discussing this film, I said that if I had one week to live then I would have to watch Synecdoche, New York one more time. My praise for a film rarely takes such an extremist stand, but the sentiment reflects what a profound work that would make the absolving into oblivion a little more comforting. Roger Ebert holds the incomparable Ingmar Berman film Cries and Whispers (1972) as one of his lights against the darkness: “I feel profoundly grateful to my life, which gives me so much.” My feelings for Synecdoche, New York match this very spirit. Synecdoche, New York, a darkly comic, absurdist Rubic’s Cube puzzle of a film about human consciousness, yearnings, foils and disillusionment. Philip Seymore Hoffman played Caden Cotard, a theatre director and self-appointed analyst of the human condition. His studies are performed on productions of stage versus life, including his own verbatim. Haunted by the inescapable postulation of death, he is wrung out by an onslaught of ailments, cruel reminders of eventual decay (“I don’t feel well.”). Doomed romances and a fleeting timeline endanger Caden’s well-being and creativity. The scope of his latest theatrical production outmatches what he is humanly capable of delivering. The set is so ridiculously large that it could only function as an artist’s idea of Heaven. In denial, Caden is trying to coach himself to good health as though his artistic search for truth will cure him. Or at least make him a little happier. Perhaps his success as an artist would have insured his longevity, a rebuke against having to die. The conclusions he faces are that dreams and desires fleshed out must soon rot away. Fifty years ago, Marcello Mastroianni could have assumed the role of Caden Cotard. At the time I wrote my original review, I listed very provocative and unique films out of reflex and love. Having some distance to analyze my choices, I found certain similarities between Synecdoche, New York and the following: Béla Tarr’s Werckmeister Harmonies, 2000 (its apocalyptism), Lars Von Trier’s Breaking the Waves, (its terrifying interpretation of what God (re: Caden the Director) might ask one to prove their faith), Bill Forsyth’s Housekeeping, 1987 (its sweetly-haunted look into the unknown against conventional norms) and Robert Altman’s Three Women (its switching of characters’ minds). Hell, even Peter Greenaway’s near-masterpiece A Zed and Two Noughts (its obsession with twinship and decay). In times where compelling female roles are scarcely encouraged in Hollywood, Synecdoche, New York displays an intimidating showcase of accomplished actresses: Samantha Morton, Catherine Keener, Hope Davis, Michelle Williams, Diane Wiest and Jennifer Jason Leigh. They all succeed at making immediate impressions of their own. This film offers so much invention, such as the house that is always on fire, but never burns down; don’t we all afford a lifestyle that isn’t good for us? One of the many extravagantly surreal and poignant scenes married so deftly is where Caden burrows deeper and deeper into the recesses of his ever-expanding, breathing metropolis sound stage. Within the enormity of the world, we retreat into the structures made possible by our imaginations. The achieved layers of its story structure and comprehensibility are matched by the mind-expanding creations manifested from the ambitious and rewarding directorial debut by screenwriter Charlie Kaufman (Eternal Sunshine of the Spotless Mind, 2004). A polarized reaction from critics didn’t encourage an auspicious turnabout this film deserved from audiences and the Academy. 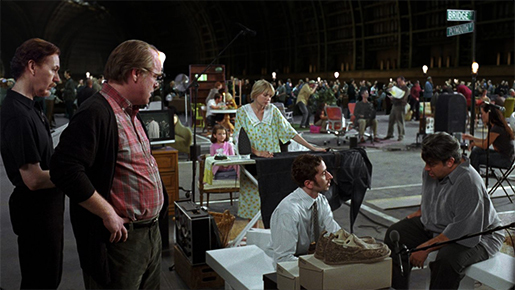 Synecdoche, New York will certainly gain a cult following when more people discover this masterpiece on DVD. In Bruges started a trend following David Fincher’s Zodiac in 2007 that at least one movie released in February was going to be a masterpiece. In New York, I remember not being impressed by the vulgar trailer shown before There Will Be Blood (2007), which was my favorite film of that year. After hearing good word of mouth, I took a chance and was floored by the debut of writer-director John McDonagh. What surprised me most about this gutsy film was how elegant it was thanks to poignant soundtrack by Carter Burwell and the script’s contemplative pacing. 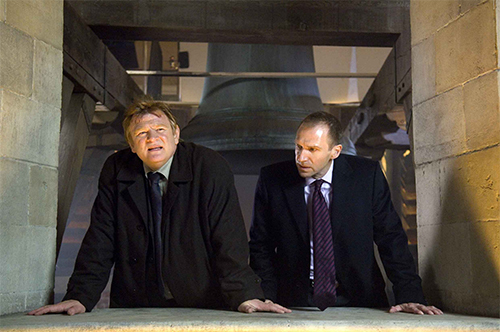 Colin Farrell and Brendan Gleeson played two Irish assassins briefly banished to the purgatory on Earth: Bruges, Belgium. While keeping a low profile and doing some sightseeing, the two men have a crisis of conscious after a botched job that leads them into more trouble. The two struggle with their sense of selves, and reveal surprising pathos that their occupation would not allude to. I have more affection for flawed people who try so hard to play the hand they’re dealt with. The film steers us fearlessly into very politically incorrect comedy (“They’re filming midgets!”) and maintains its devastating drama about guilt, loyalty and ethics. McDonagh achieves the sadist placement for embracing the film’s gallows humor and still recognizing its consequential tragedies. It is one thing to cross the line of good taste, but it is more difficult to be smart about it without apology. Farrell and Gleeson are assigned tough roles and accomplish them with great wit, pain and compassion. The real villain of the piece is Harry Waters (played with gusto by Ralph Fiennes) who appears in the last third of the film. Carrying himself like a tall, satanic figure, Harry is fascinating as he reveals deep complications about himself and a warped sense of justice. One of the film’s highlights is a virtuoso five-minute take of Ken talking on the phone with Harry. 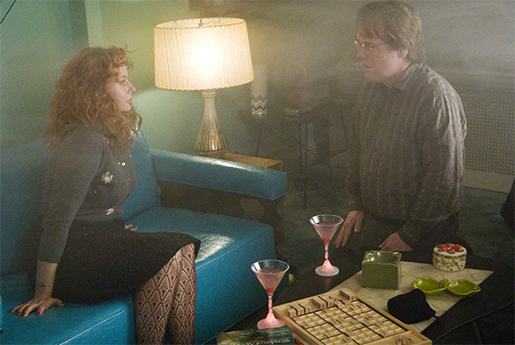 Brendon Gleeson could afford a country with the double-take he makes after telling Harry, “He said, ‘I feel like I’m in a dream’”. The scene starts out funny (“That don’t mean he’s gone. Go check outside the door.”) and gracefully changes into something much dire. 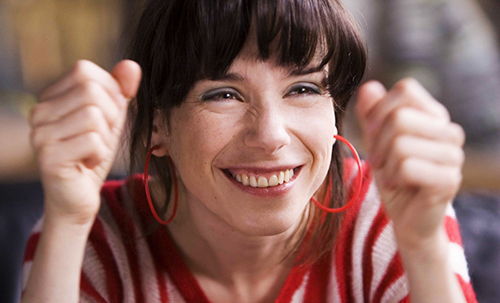 The film is populated with actors who compliment this “fairytale place” including Clémence Poésy, Jordon Prendict, Jérémie Renier (from Le Enfant, 2005 — not to be confused with Jeremy Renner), Thekla Reuten, and Ciarán Hinds. This daring, uncompromised drama is at once plausible, and fantastical. These characters are forced into making hard choices and unthinkable actions and each of their personalities are carefully considered. Besides Synecdoche, New York, In Bruges was also the only film I saw four times in theatres. If I was asked what my favorite film of 2008 was, I would first warn in advance that I wasn’t carrying a bottle. Last summer, waiting for this brainy blockbuster for me brought back memories of Christmas morning. Miraculously, the quality of the latest Batman film exceeded its hype and shamed its predecessors. Some have called it The Godfather (1971) to movies based on comic-book superheroes: At the point of the film’s running time it takes for Michael Corleone to bump off the Virgil “The Turk” Sollozzo and Captain McCluskey at the Louis Italian-American Restaurant, The Joker’s escape from the MCU is set in motion: “You have nothing to threaten me with!” The Dark Knight was the most stimulating and thought-provoking big-budget picture Hollywood has produced since Peter Weir’s Master and Commander: The Far Side of the World (2003). Christopher Nolan’s brilliant tour-de-force employed its graphic novel-influenced archetypes into a a dark Shakespearean tragedy. The exhilarating action scenes were motivated by characters that seemed more real and tangible than ever. It also helps that this story revolves around adults. Each member of the ensemble cast, including Christian Bale, Heath Ledger, Aaron Eckhart, Maggie Gyllenhaal, et al. were given just enough screen time to do their roles justice. I still feel Aaron Eckhart deserves more credit for his work as District Attorney Harvey Dent, but the shadow that Heath Ledger casts here is so dark that it swallows the rest all up. Batman is wily and almost as diabolical as The Joker: By appointing Dent as Gotham’s new protector, Batman could have finally folded his cape and cowl, and then woo Rachel back from Dent. “You know that day you once told me about when Gotham would no longer need Batman — it’s coming.” Two-Face would have appreciated the duality of that scheme. Consider the way Batman at one point says chillingly, “Beautiful, isn’t it?” as he presents a new gadget that surveys every citizen in Gotham. It is Lucious Fox, played by Morgan Freeman, who holds grave misgivings as the voice of reason against criminal acts cloaked in the well meaning vigilance of an extremist. Here, the Joker’s heroes must have been Henri Poincaré and Stanley Milgram. The joy of Heath Ledger’s performance is the way he seems to take a second to think of what he’s going to say next and then make it sound more twisted. 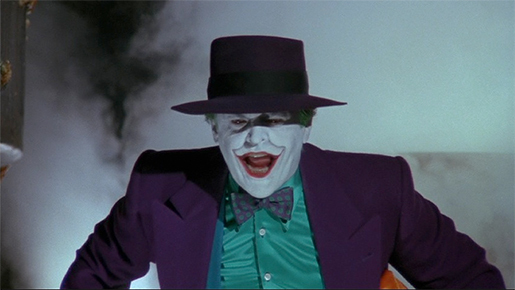 The Joker uses words like live insects being pushed into your ears. The only ones who use perfunctory cliché to communicate are the cops (ie. “Have a nice trip, see you next fall.” and “Lock and load”) The toothy criminal also dispenses some sound wisdom: “If you’re good at something, never do it for free.” He is a great manipulator who can lie with a straight grin when he asks, “Do I look like a guy with a plan?” The way things have been working in The Joker’s favor, he’s a mastermind who would rival Nostradamus. The only one-on-one scene he has with Harvey Two-Face is deliciously wicked. It was like eating a bloody sirloin dipped in battery acid. The ending of The Dark Knight was genuinely moving; finally leaving me with a deeper appreciation and impression of what Batman really stands for — a truly lonely crusader. I haven’t seen these characters portrayed so justly since becoming a fervent admirer of Batman: The Animated Series in my youth (Question: Who here has spotted the Paul Dini reference in the above paragraph?). This film was like a tonic. At one point, The Joker proves what a great compliment Batman and he are together. “We’re destined to do this forever.” If only! 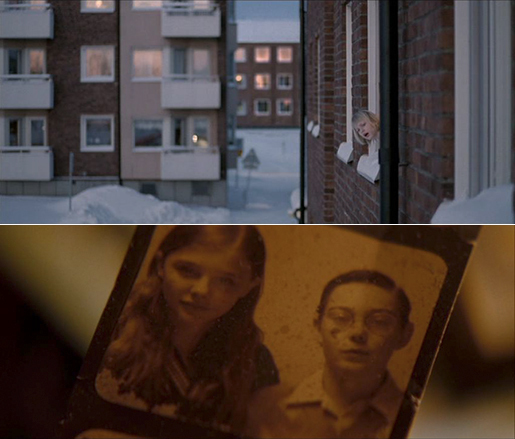 Let the Right One In is a vampire movie that is as sophisticated and thoughtful a horror film as you are likely to find. This film, like so few can, redeems the horror genre. It joins the ranks of great vampire films like Kathryn Bigelow’s Near Dark (1987), both the 1922 (dir. F.W. Murnau) and 1979 (dir. Werner Herzog) versions of Nosferatu, and its cunning companion Shadow of the Vampire (2000) by E. Elias Merhige. Let the Right One In is the real thing. Here, vampires burn when touched by sunlight — they do not sparkle. New to the neighborhood, Eli encounters Oskar (Kåre Hedebrant) one night and she grows protective of him. They form a fragile friendship that could also be described as deathless. They are both tortured souls. Eli (Lina Leandersson) is a young vampire who looks like a girl, but should check out the Lucïa Puenzo film listed below. Poor Oskar is cruelly tortured by school bullies and seems destined in the opinion of others to grow up dysfunctional. Eli encourages him to fight back. This tale of revenge is tackled in shades of gray — very dark grays — that makes its moralistic point-of-view more compelling than usual. In a scene where Oskar does fight back, observe how it acknowledges the gruesomeness of his action and its sobering victory. Director Tomas Alfredson takes this material seriously. The characters are fleshed out and they respond to a variety of supernatural events as real people would. 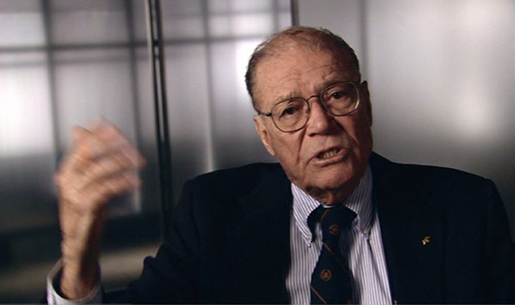 The richly adapted screenplay by John Ajvide Lindquist was based on his book. Cinematographer Hoyte Van Hoytema is an asset using carefully planned single takes where the compositions are accomplished and essential. There is no reason to wait for American version in 2010 because the original cannot be improved upon. The only complaint I have about this victorious documentary was outside of the filmmaker’s control. Why (Oh why!) didn’t anyone bring a film camera up to the roof of the World Trade Center on the morning of August 7, 1974? A wonderful fool (and I mean that in the best way because I love him) named Philippe Petit had dedicated his life to art of walking on a wire. Petit is a little wicked, but not mean, because how else can I approach a mind that envisions a tightrope between the two towers before they are even built! I wished there were more generous madcaps like Petit out there. I am aware there are Jackass shows out there, yet they lack the romanticism. Petit would die for his greatest stunt. He even admits that his death was eminent that morning. Perhaps the man is not of this world; he survives on oxytocin, never mind oxygen for his Elevation intake. While cheering on Petit and his band of rogues from France as they infiltrate the top of the heavily guarded Twin Towers, the thought of a much more innocent time is captured. These ingenious criminals’ goal is to entertain and inspire the less adventurous to dream, or at least be in awe. Throughout Philippe Petit’s death-defying exploits, I could hear the faraway voice of Peter Falk reminding me, “He doesn’t fall off the Sydney Harbour Bridge at this time…”. Leading up to the vertigo-inducing wire walk, white-knuckle suspense can still be felt even as Petit, older and agile, fills us in on the details (“Hide and seek!”). Perhaps it works the way we cringe at the memory of a personal disaster averted just in time; for example, I always freeze when I remember how I nearly knocked over (and saved) a six-thousand dollar painting one of my teachers had on display. Apart from the stunningly realized black-and-white recreations and captured footage married so well together by director James Marsh, Man on Wire has an intimidating score by J. Ralph and poignant tracks by Pascal Rogé. Yes, My Dinner with Andre (1981) fans, that is the 3 Gymnopédies: Gymnopédie No. 1 that accompanied Wally on his taxi ride. That’s not all. This film is packed with music from the locomotive, baroque film scores of Michael Nyman! The first time I saw Man on Wire, I swore that that could not be Fish Beach from Drowning by Numbers (1988) playing, and Reader, it was. 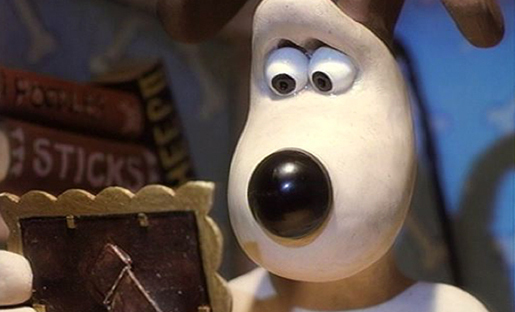 Included on the DVD, the 2005 animated short The Man Who Walked between the Towers depicts Petit more soundly to a fanciful figure in a fairy tale as opposed to a mortal man of flesh and blood performing acts that would petrify others. 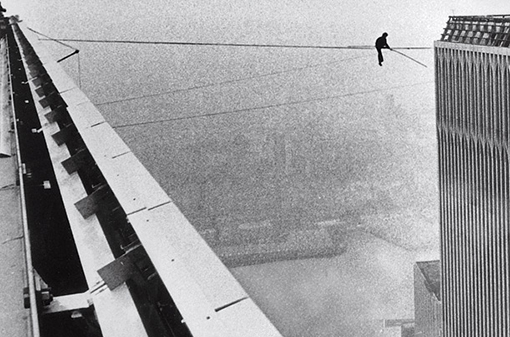 To this day, no one has ever walked across a wire above 1,368 feet from the ground. What a lovely film this is. Sally Hawkings gives a winning performance as an elementary schoolteacher named Poppy, a character so unique, witty and complex. Our good luck that this is a character-driven piece. Poppy is so lively that where she goes (re: where she takes the story) is always compelling. Happy-Go-Lucky is a great comedy because it is a deeper and unafraid of acknowledging the scary complications life is ripe with. The driving lesson scenes, for example, involving Scott (Eddie Marsen), an irate instructor and a perfect foil to goodhearted Poppy, alternate between hilarity and suspense. Sally Hawkings and Eddie Marsen are brilliant together, even when the reality of such personalities will lead to later scenes that are sad, even inevitable. The love British director Mike Leigh has for Poppy is so obvious. Just look at the scene where Poppy gets her back fixed in a chiropractor’s office. She wears only her jewelry, underwear and fishnet stockings. There is nothing lewd about it. She is so comfortable that she cracks jokes and laughs. It is a beautiful moment. I felt refreshed watching this film. Mike Leigh gives shape and exercises his cinematic aesthetics to display his performers excellently on the screen. Using his theatrical sensibilities, after all the rehearsals, he is still a filmmaker throughout the rest of the day. XXY was a very frank and mature story about a teenage hermaphrodite named Alex. Inés Efron deserves praise for bringing strength and vulnerability to her androgynous character’s body and soul. Because Alex’s puberty is just about over, she has to make a choice which hormone will dominate, and adapt her body to it. Man or Woman? Imagine having the choice of deciding which gender you’ll be for the rest of your life. Then again, being teenager is hard enough as it is. Set in Uruguay, Alex is protected by her parents on a reserved beach front where the wood is painted turquioise, black shadows and white sand are the dominate textures. Bringing new meaning to that hoary cliché, “I was never the same after that summer”, Alex forms a bond with a teenage boy named Alvaro (Martí­n Piroyansky) accompanied by his visiting family who don’t know about Alex’s secret. The relationship between the teens is one of the most sincere and significant that I have seen in film. Argentine director Lucí­a Puenzo takes these characters through very troubled waters and manages to maintain sensitivity in scenes most audiences will consider shocking. XXY is the first feature film to break the taboo of portraying hermaphrodites. Puenzo said “I was surprised to see there are almost no stories on this subject, there’s a strange cultural silence over it.” Her screenplay was based on the short story Cinismo by Sergio Bizzio. Kraken (Ricardo Darí­­n), the father of Alex, is attentive, protective and loving toward his child. Usually, the father in such a story is unreasonable and prejudiced because it is a reliable source of conflict. Here, that prejudice is reserved for another father figure in the story. One of the strongest scenes shows Kraken confronting an adult man who used to be a hermaphrodite. They sit in the kitchen, and Kraken listens with great care and openness. Here is a good man who exercises tolerance with astonishing grace. It is very touching when he remembers his first thought when he first saw Alex when he/she was a baby. I was worried by the misinformation of Amazon and other retail sites citing that the Region 1 DVD of XXY is presented in a pan-and-scan full-frame format. The careful compositions by cinematographer Natasha Braier in its original 1.85 : 1 widescreen aspect ratio deserve better than that. Film Movement, the American distributor of XXY contacted me back and confirmed,”XXY is in widescreen.” Class act. A brave pioneer like Harvey Milk, the first gay politician to be elected in an American state in the late 1970s, deserves as astonishing an account as Milk. Sean Penn in the title role was so unserved in his warmth that it was a revelation for the long-proven thespian. Actors James Franco, Emile Hirsch), Allison Pill and Diego Luna were uniformly excellent. 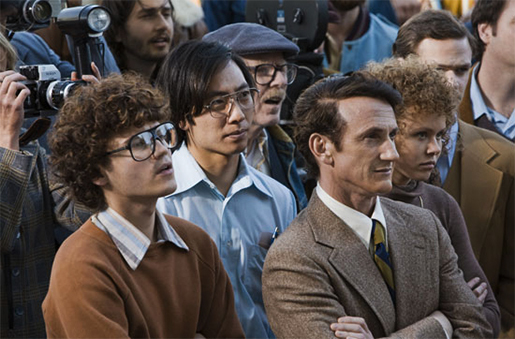 In a film rich with romance and comedy, the story of Harvey Milk was grim and alarming as he fought for gay rights when homosexuals were routinely murdered on the sidewalk, even in San Francisco. Milk’s great heart was set against those horrible injustices, which resonates just as much with today’s continuing battle with Prop 8 versus Prop 6 thirty years ago. Some progress has been made thanks to Milk, but there is still a long way to go before it gets better. Has it really been twenty years since Gus Van Sant made Drugstore Cowboy (1989)? The exhilarating filmmaking by Van Sant here is born from a heedless energy and abandon more suited to a youthful talent. One of the best visuals I saw this year involved the close-up of a disposed whistle that reflected a murder scene. The element that brought great dread was the aforementioned assassination of Milk by his confrontational political colleague Dan White (played well by Josh Brolin). The build-up to this reminded me of a similar one in one of my favorite films Oliver Stone’s Talk Radio (1988) that was written and starred the incomparable Eric Bogosian. Some footage from the Rob Epstein documentary The Times of Harvey Milk (1984) was wisely, though seldom, used with the recreated scenes that achieved genuine emotion. Between this and Standard Operating Procedure, composer Danny Elfman has had a really good year. In one of the most grand gestures a filmmaker can do, visionary writer-director Tarsem put all of his finances toward a film of his that big studios were too timid to touch. The men behind the big desks just couldn’t fathom marketing a movie involving the dreams of a six-year-old. The Fall deserves placement along with another one-of-a-kind titled Playtime (1967), which broke the bank of its director Jacques Tati. I tend to root for filmmakers who strive for a personal vision all their own. The ones who don’t compromise their own needs. Filmmakers like Tarsem possess a romanticism that make their work invigorating. Otherwise, it is so boring to watch a film made by people who depend solely on “audience expectations”. Lee Pace (Pushing Daisies) plays Roy Walker, a crippled movie stuntman turned suicidal because he has exhausted all of his love for an undeserving woman and has nothing left for himself. Wallowing in his hospital bed, a coy little girl with a broken arm named Alexandria (Catinca Untaru) befriends him. Roy enjoys her company and seizes his next suicide attempt by persuading her for “medicine” in exchange for telling her a story about “The Masked Bandit”. Alexandria’s imagination illuminates and embellishes a fantastical landscape as extraordinary as the one in the Guillermo del Toro masterpiece Pan’s Labyrinth (2006). The drama centers on these two personalities torn over a make-belief world and sense of self. Their outlook on life is like a feud between the creator and his listener. While exploring the depths and beauty of their human imagination, the reality is dire because Alexandria, so innocent she can’t fully comprehend, that she is trying to save Roy. Roy is truly tragic if he can dream so well and still hate himself. Drowning in depressing, Roy is willing to shatter a vulnerable, little girl to his misanthropic vision by killing her heroes. Here is one of the most heartbreaking exchanges between the two. Using ingenious scheduling, Tarsem filmed the illusory landscapes in over two dozen countries in South America, Europe, Asia and Africa. The use of his special effects afforded me the opportunity to write about The Authenticity of Light™ in my original review. Also welcome is the use of Beethoven’s Symphony No. 7 in A major, Op. 92, II. Allegretto. The Main Title Sequence is especially memorable. Four years in the making, The Fall stands out as a bold victory in the alter of cinema for its generous artistry. Wendy and Lucy is a story of a Girl-and-her-Dog where sentiment is guarded and hard-earned. 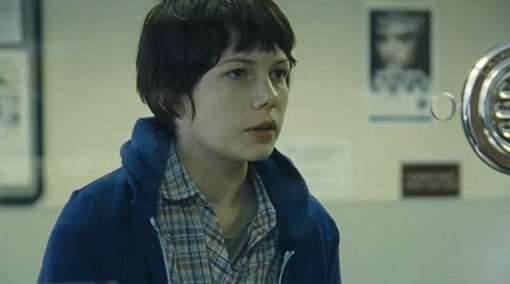 Michelle Williams (Brokeback Mountain, 2005) is almost unrecognizable here as runaway Wendy who is stuck in a desolate town in Oregon on her way to Alaska. Her dog Lucy is her best friend and the last remnant that connects her with some semblance of her old life. Writer and director Kelly Reichardt ruthlessly shows how an otherwise “worthy” member of society (she has a car) can be stripped to the bone of an unmarked drifter by one bad break too many. Accompanied by an award-worthy score by Will Oldham, Wendy and Lucy is a touchstone of the head-above-water American Independent Film Movement. 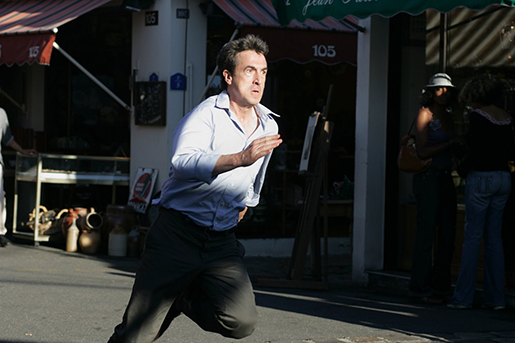 While skinny-dipping one night, Alexandre Beck (François Cluzet) chases his wife, Margot (Marie-Josée Croze) across the dock and is knocked unconscious. He wakes up in a hospital and is informed that Margot was murdered. Eight years later, Alexandre is still coping with his loss. It hasn’t been proven, but authorities still consider him their prime suspect. Then one day, Alexandre receives an e-mail… from Margot. I’ll stop right here because you deserve to see this one cold. Here is a movie made with the discipline of a great film noir from the 1940’s; Out of the Past (1947) comes to mind. The premise would have appealed to Alfred Hitchcock who most favoured The Innocent Man Wrongly Accused theme. The whole plot entangles together with such a lean, ferocious finesse by writer-director Guillaume Canet based on the Harlan Coben novel. Like a knife, the story twists and turns using ingenuity that borders on diabolical. Worthy of David Mamet’s best work (ex. House of Games, 1987), the many revelations are handled with the deftness of a magician. I haven’t seen an action-thriller this smart and riveting since Andrew Davis’ The Fugitive (1993). One of the highlights of this production is an extended foot chase on a freeway. The film is peopled with class acts like Kristin Scott Thomas, André Dussollier, Marina Hands, Jean Rochefort, François Berlé and, and Olivier Marchal. Mikaela Fisher is a stand out as a henchwoman with the endurance of the Terminator. By the end, no loose ends are hanging. It is bewildering to have followed a plot that is so tight that the screenplay must have been strangled nearly to death. Incredibly, Tell No One took almost two years to be released in North America since its premiere at the French Film Festival. I agree that what happens in this movie should be kept a secret, but that is getting ridiculous. The best review of this exceptional thriller for those who have not seen it yet consist of three words: See it now. I usually update my list of the Years’ Best on its main page regularly, but I leave these single yearly posts alone for a few months — I’d go mad otherwise. Woody Allen’s Vicky Cristina Barcelona (2008) has been up on the Years’ Best page ever since I caught up with it five months ago. However, I have been struggling with the placement of The Reader for some time. I have the same conundrum with the film as I did with the book back in 2003. The plot about Hanna’s struggle with illiteracy and how her young lover Michael deals with that is the best part of the story for me. It’s the stuff of an Old Hollywood melodrama that is unapologetic in its earnestness. This aspect of the film is why The Reader gets a modest pass onto the list. It is the Holocaust aspect feels like a real stretch for me here. As good as Kate Winslet was in The Reader, I still wish she had won for her raw performance as April Wheeler in Revolutionary Road. That look she gives her husband just before the curtains close on her disastrous dress rehearsal was all that was needed to convey what Yates took three (very enjoyable) pages to do.